Please purchase your class pass below. You will receive an email confirmation after your purchase and your pass will be awaiting you at the studio. *Passes are non-refundable and non-transferable. *Passes cannot be extended or suspended. *Passes are valid for weekly studio classes only (not workshops, specialised programs and other events). 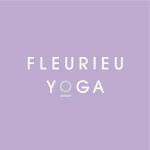 *Fleurieu Yoga reserves the right to make changes to the timetable at any time.